After proving its excellence in Engineering & Medical Entrance examinations of the country, now Rajasthan is leading even in the National talent Search Examination. 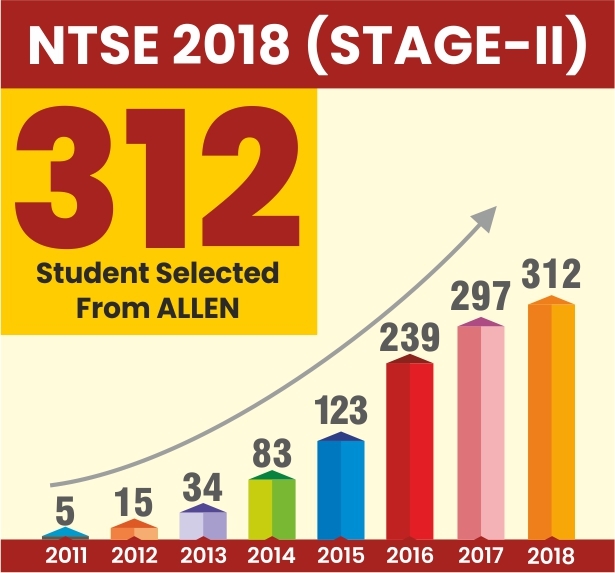 This year, 130 students have been selected in NTSE from the state, which is the highest among any state of India. On the other hand, Rajasthan stands 3rd in the percentage of students selected from the 1st round from those who appeared. Delhi and Chandigarh lie ahead of Rajasthan in percentage of highest selections. 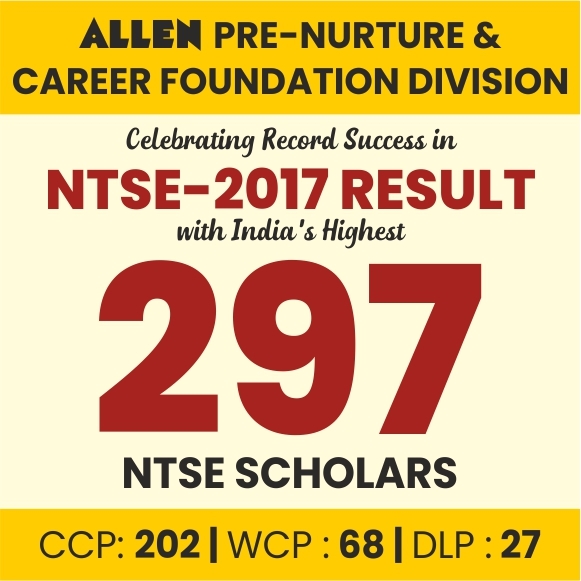 As far as the numbers are concerned, the highest amount of students selected from the 1st round in any particular state is from Uttar Pradesh where 802 students qualified for the 2nd round of NTSE. 2nd comes Maharashtra with 390 selections, 3rd is West Bengal with 299, whereas 293 and 274 students were selected to appear in the 2nd round from Madhya Pradesh & Rajasthan, respectively. 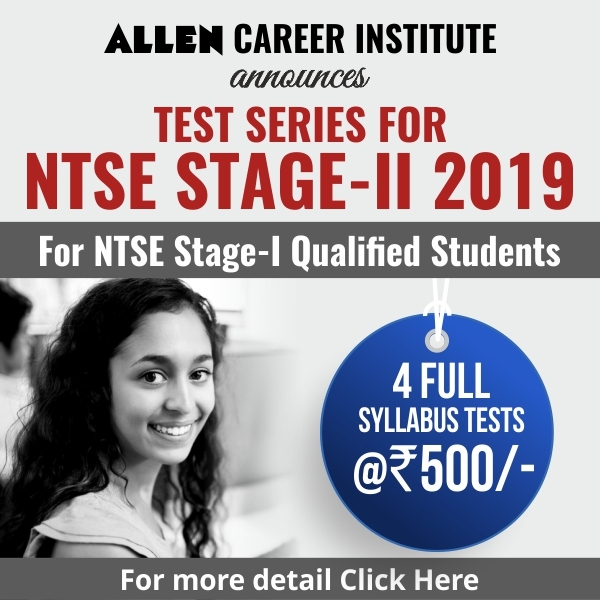 In Stage 2 If we go by percentage, Chandigarh has the highest percentage of selections (61.54%) with 8 students out of 13 selected for the prestigious NTSE scholarship, followed by Delhi where 49 out of 86 students are selected (56.98%). 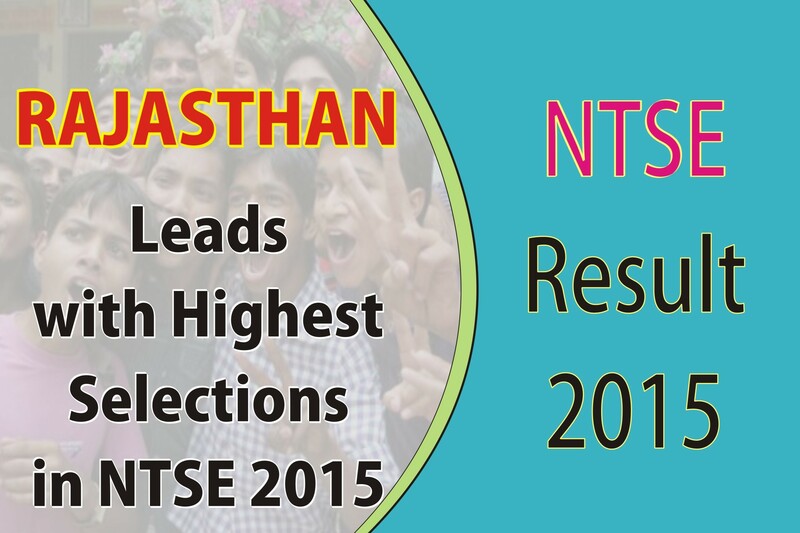 Third comes Rajasthan where out of the 274 students who appeared for the 2nd round, 130 have been selected (47.45%). Haryana, Odisha and Punjab had 39.22%, 34.38% and 33.33% students, respectively, selected out of the total appeared. The 1st round of NTSE is conducted by the respective State Boards for the 10th pass students. 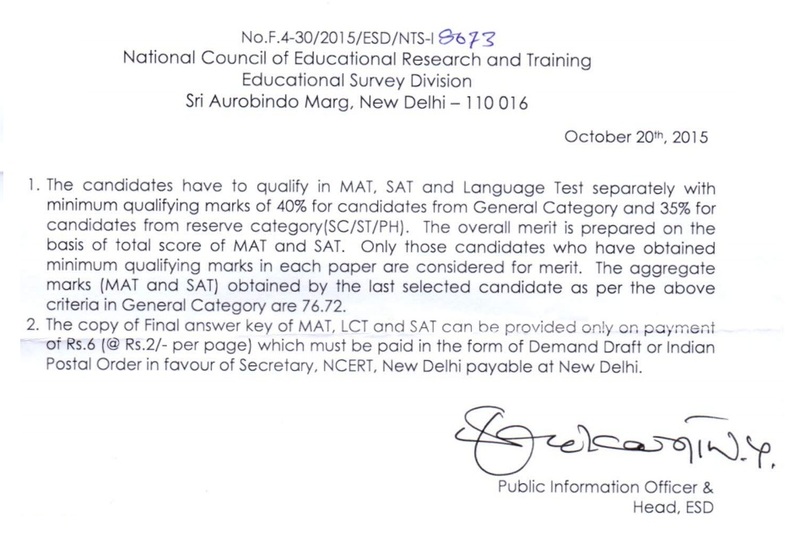 The exam was organized in November 2014 followed by the 2nd round which was conducted in May 2015. The results of the 2nd round were announced in September. The students selected after the 2nd round would receive a monthly scholarship of Rs 1250 in their 11th and 12th and Rs 2000 every month during their further studies till their research degree. Out of the total students selected from Rajasthan, 55-60 are studying in Kota for the preparation of competitive examinations. This yet again proves Kota as the best hub for education. 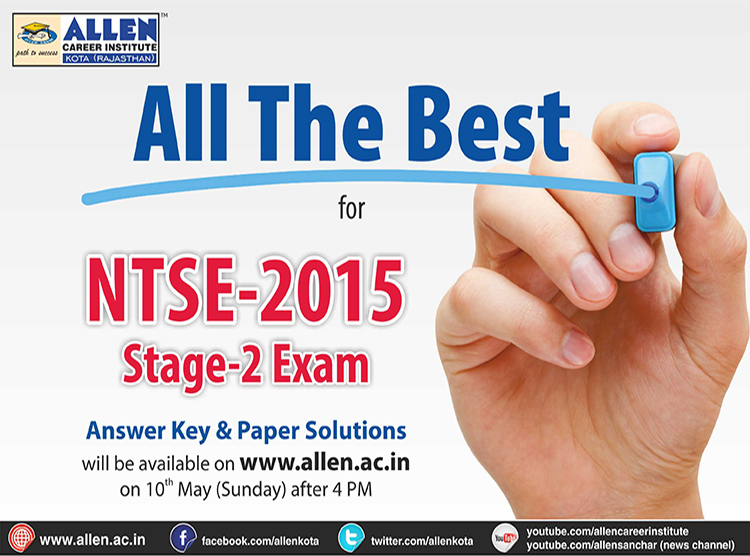 ALLEN Career Institute wishes all the NTSE 2015 Stage 2 aspirants, the Very Best for their exam!